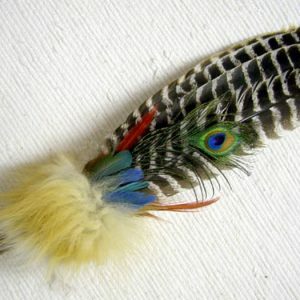 This beautiful fan is hand made by popular artist La Ne Ayo of the Creek people. 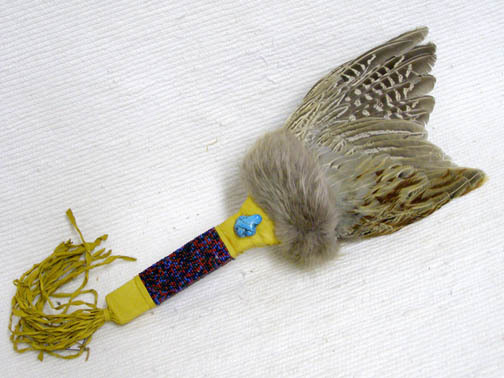 This fan features a small, full pheasant wing mounted on a buckskin wrapped, flat handle which is decorated with seed beads, plush animal fur(either fox or coyote, depending on availability), twisted buckskin fringe & a turquoise talisman. 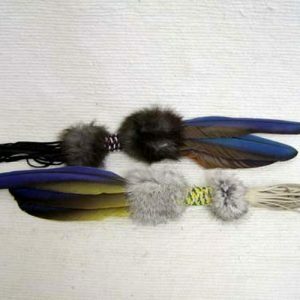 These are fine fans & each one may vary slightly in beads, leather, fur & wing shape. Each fan comes with a certificate of authenticity.